Planning a wedding can be a costly affair that results in a lot of excess waste when the long-anticipated celebrations are over. Nevertheless, your wedding day should be truly special even if you do think of yourself as a go-green advocate. Our simple guide to sustainable wedding planning will show the conscious bride tricks and tips to plan a planet-friendly wedding. Implementing these actions will mean that you can still impress your guest and make memories, the sustainable way. 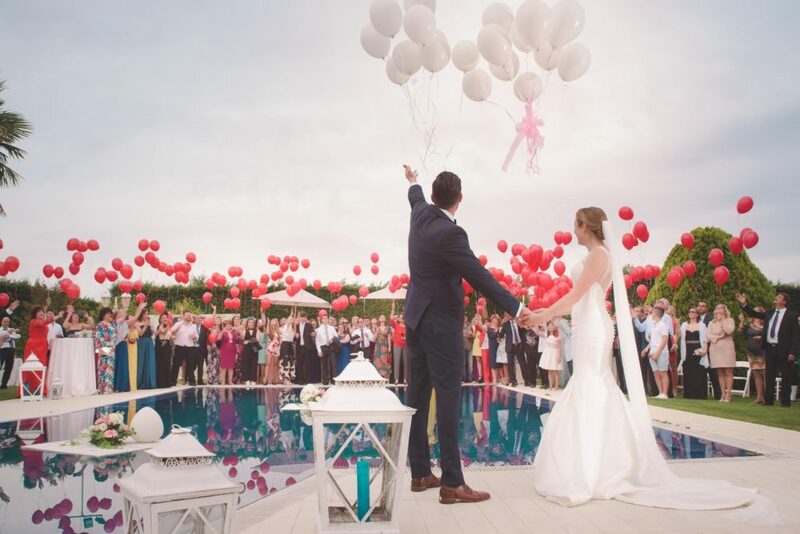 Creating an eco-friendly wedding has become a popular trend across Europe. It’s true that the average customer is becoming increasingly aware of their individual impact on the environment, the motivation behind green weddings is varied. This British case study is testament that green weddings not only suit modern morals but are also a financial win. To minimise the environmental impact of your wedding and support your community, select suppliers who source locally. This not only reduces the carbon footprint of your goods and services by using fewer miles, but also helps to control the quality. From your caterers to your florist, ask them to shop locally to get the best seasonal produce and flowers. Above all, smaller suppliers like these will be able to work from a bespoke brief to instil a personal touch to your ceremony. Taking the easy route and opting for mass-manufactured goods more often than not means receiving a standardised package. Find a florist who promotes responsible farming and fresh farm flowers like The Real Flower Company. You can rest easy knowing that your bouquet has been delivered directly from a farm where staff are paid the living wage. A suitable wedding caterer should have established relationships with local farms. They should also promote environmental practices such as paperless invoicing and their own recycling system like Hickory Food. Their green wedding packages include an East Lothian menu prepared and delivered in a Green Tourism approved venue. Using alternative materials is a quick and easy way to remove the guilt from your wedding day. This step requires a little bit of research in order to know what’s out there. Getting clued up on this topic will open your eyes to the sin behind wedding rings, food packaging and wedding dresses. It’s obvious to most avid recyclers, that plastic-free parties are favourable for the environment. So eliminating harmful plastic and switching to paper alternatives is a given. Think more carefully about the way different materials are produced, like fabric and diamonds, to discover all of the opportunities to support sustainability. Choosing your wedding ring is often an overlooked step as this happens before the day of the event. 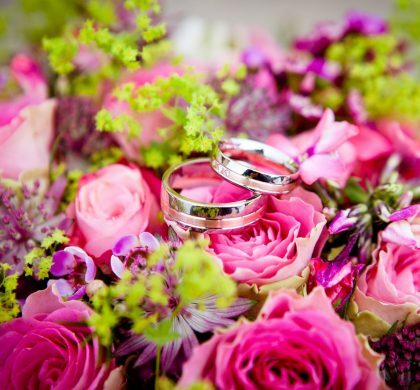 Wedding rings are a huge investment that will last for long after the ceremony. 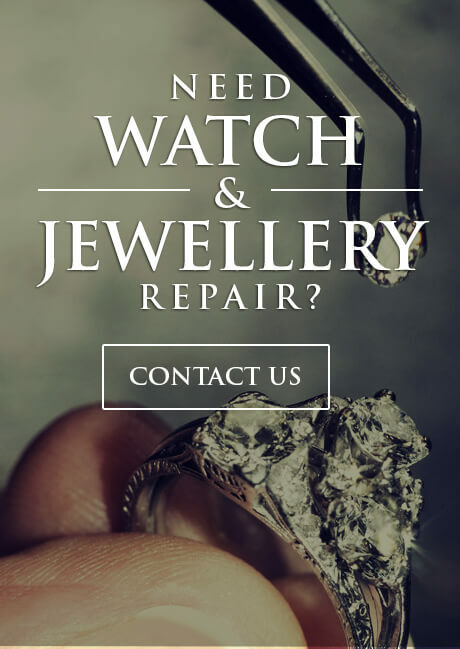 As such, making sure that your wedding band contains no conflicted diamonds is crucial. 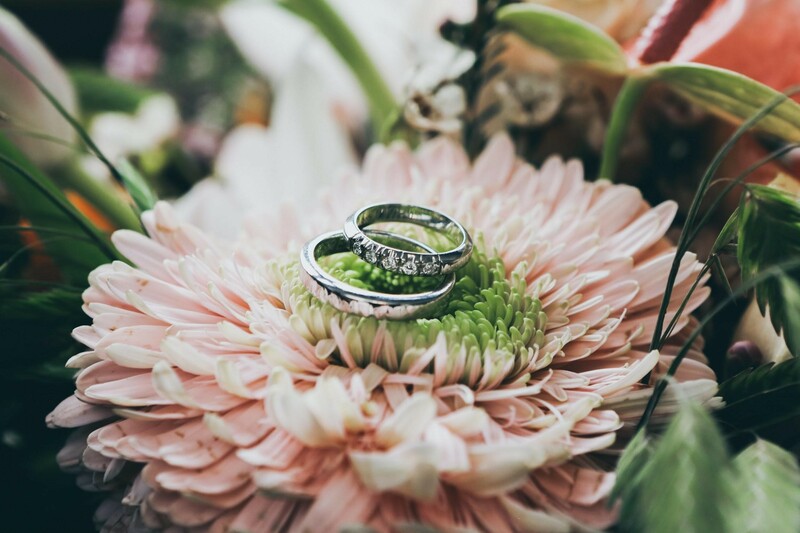 The Natural Wedding Company have a comprehensive directory of ethical engagement and wedding ring suppliers to choose from. You can even take it one step further and choose an eco wood ring as opposed to the traditional metal variation. If you plan to have wedding favours or food packaging at your event, then you need to select an environmental supplier who promotes plastic-free dining. However, this topic isn’t as black and white as it may seem. Ordering from the experts will show you less harmful options like PLA bioplastic, which is sourced from plants. Get bespoke food packaging from Takeaway Packaging as this sustainable supplier also lets you print your own design using veggie-based inks. 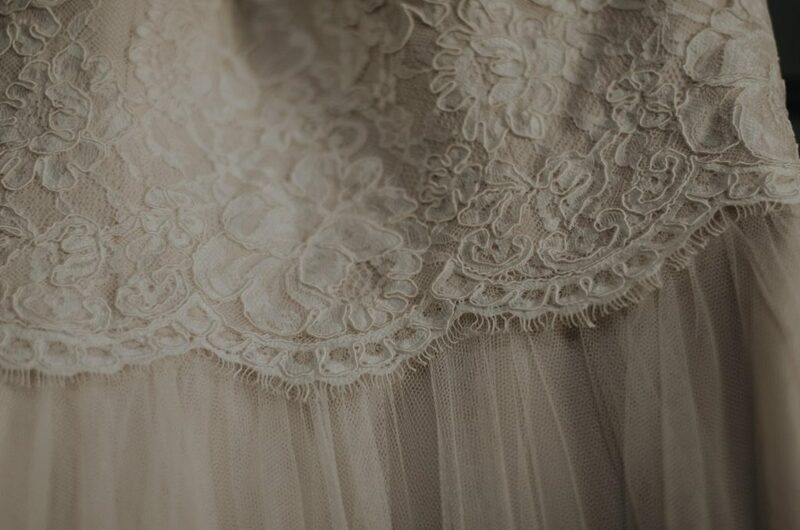 Consider wearing a wedding dress that is recycled in some way. From rental dresses, second-hand outfits to vintage fabrics and natural fibres, The Good Trade has an entire list of eco-designers. Buying an ethical wedding dress can suit any price range from a small daily rental fee to a bespoke, upcycled gown with its own price point. By selecting an appropriate silhouette, you can stick to your morals on any budget. Finally, the last thing you should consider to keep sustainability at the forefront is to review the scale of your event. It’s easy to get carried away with the planning process. If you’ve found yourself extending your guest list to far out relatives and friends you haven’t seen in years or making an elaborate entrance in flying transport — ask yourself if these things are really necessary. Realise what is at the core of your wedding and keep it simple. Remember, no wedding is 100% eco-friendly, but stripping back to basics will give you the best chance. Coco Wedding Venues has compiled a great selection of environmentally-friendly location choices. You’ll notice that many of these options are themed outdoors. Buildings like rustic barns, farmyards and stately homes are popular. If you don’t live in the UK and can’t access these fabulous venues, consider similar structures in your area. More often than not, if the venue has sustainability as a top priority, they will sort out a lot of the previous points for you. They may have in-house caterers or brew their own beverages to stop you sweating the small stuff. 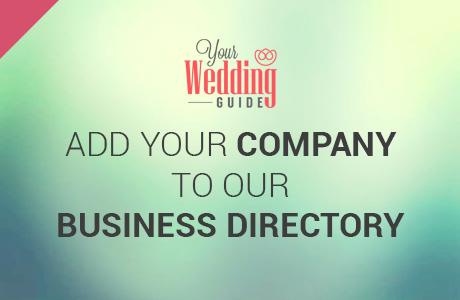 Planning a wedding can be a monumental task and is made even harder when you have special requirements. Whatever venue you choose, make sure you take a look at their wedding packages to see what extras you can get for less, like a local florist or a plant-based menu. Each wedding is personal to you and the occasion should reflect that by feeling like an intimate gathering of your closest family and friends. Unfortunately, it’s easy to end up with a scrolling guest list. 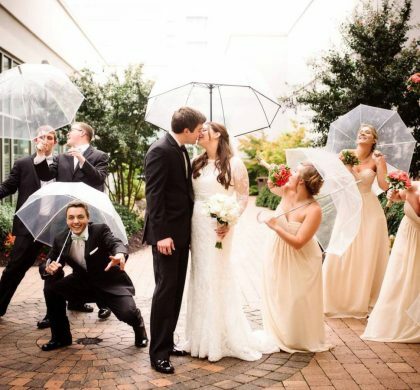 Many brides make this mistake in an attempt to avoid offending distant family and acquaintances. But if these people have only made the shortcut for those reasons, you should consider culling your name cards before you make the numbers final. Use free resources to get some additional assistance on how to compile the perfect list from One Fab Day’s guide on the topic. More wedding guests, means more expense, more energy and more waste. If you are trying to cater for over 200 people, it can be a lot harder to fit the party in an environmental setting and it may turn away local suppliers as they will have a smaller capacity. Grilling your guest list can be a painful process but once it is done, it will simplify and de-stress your thoughts on building a sustainable wedding.